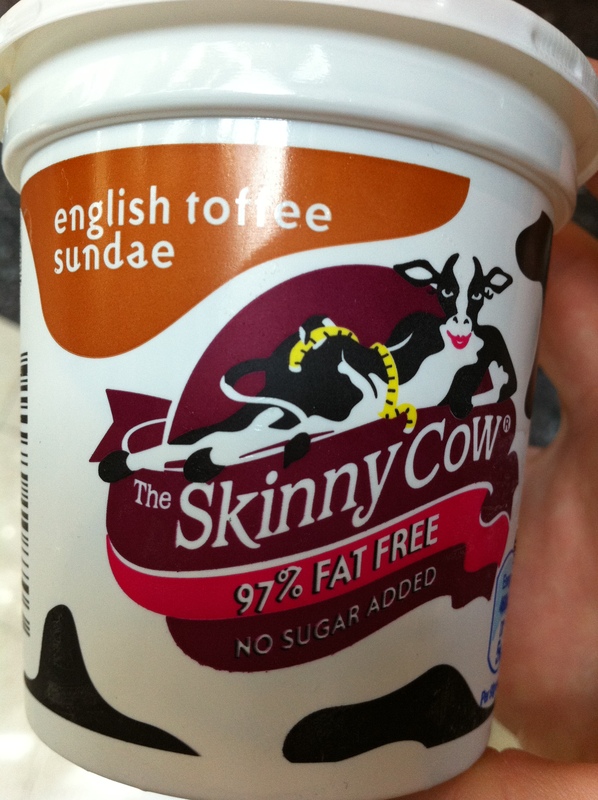 I love the concept of Skinny Cow ice cream being the sweet tooth that I am. Not only is it great that there are 125 calories or less per sundae and 100 calories or less per ice cream stick, but the fact that they come portion controlled (as putting an entire tub of ice cream in front of me is very very dangerous!). 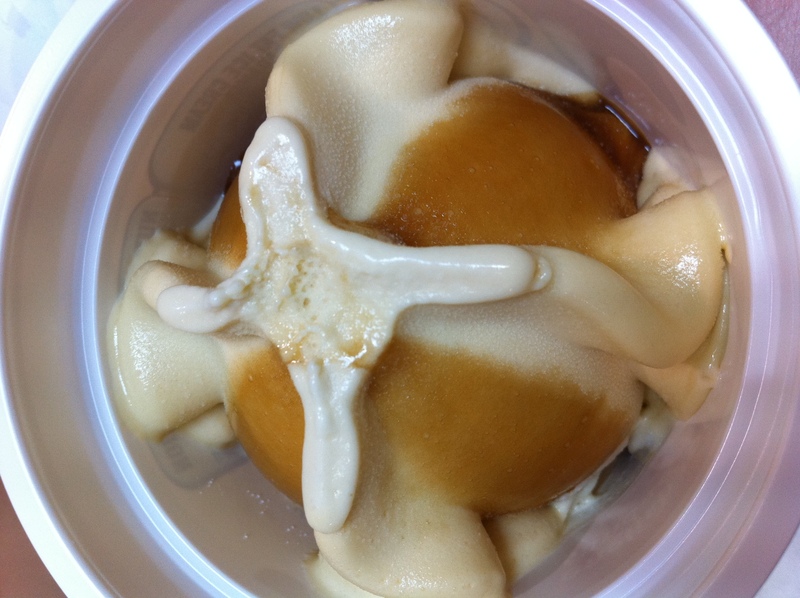 I have tried the vanilla caramel, english toffee and double chocolate sundaes. I expected to prefer the caramel and english toffee sundaes as I always choose caramel over chocolate (even with McDonald’s sundaes… crazy I know!). However I have to say that of all three, I prefer the chocolate skinny cow sundae. My next choice would be the caramel one with the english toffee being my least favourite. I felt that the flavour of the english toffee ice cream tasted a bit fake. Next I would like to try the chocolate berry sundae and the vanilla chocolate and english toffee ice cream sticks. Other flavours include the vanilla chocolate sundae and the chocolate chip ice cream stick. In regards to being gluten free the website says “wheat products are only present in the English Toffee Sundae Cups and Sticks. The rest of the range does not contain any wheat ingredients, however they are manufactured alongside other products that do contain wheat, so despite our exceptionally high standards, this is why we do not ‘officially’ claim wheat or gluten free on pack.” Though when I looked at the ingredients on the container of the english toffee sundae cup the only wheat items present are glucose syrup and caramel colour which can be eaten by those who are coeliac/gluten intolerant! While they are a bit better for you than full fat ice creams calorie wise, I have been reading a lot of research lately which shows it may be better to eat smaller amounts of the full fat versions as the fake sugar stimulates the brain and makes you crave sugar more. Any thoughts on this idea? Do you go with the full fat versions or go for the lower calorie options where possible?